Police are looking for a man in connection with an assault on a bus in Eastbourne. A 44-year-old man was punched in the face and given a black eye on the top deck of a Stagecoach bus on Tuesday, August 1, and police are now searching for the suspect. 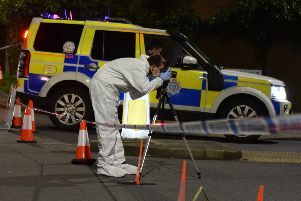 The attack happened near the A259 in Seaside at around 11.26pm after which the suspect and another man got off the bus. Police have now released images of the man who is described as white, about six feet tall, of medium build, with short blonde hair. Anyone with any information is asked to report it online or call 101 quoting serial 1802 of 01/08, visit the Crimestoppers website or call anonymously on 0800 555 111.